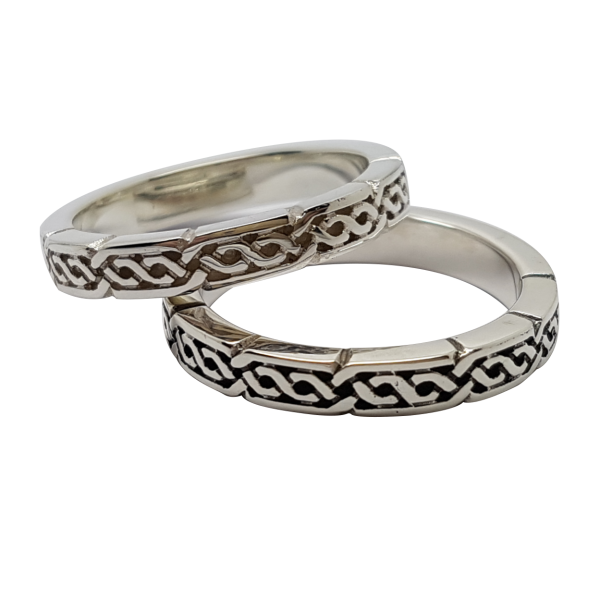 This ring is part of our ‘Gaol’ collection, meaning ‘love’ in Gaelic, and is made exclusively by Love from Skye on the Isle of Skye. This narrow, solid knot-work design measures 4mm in width. 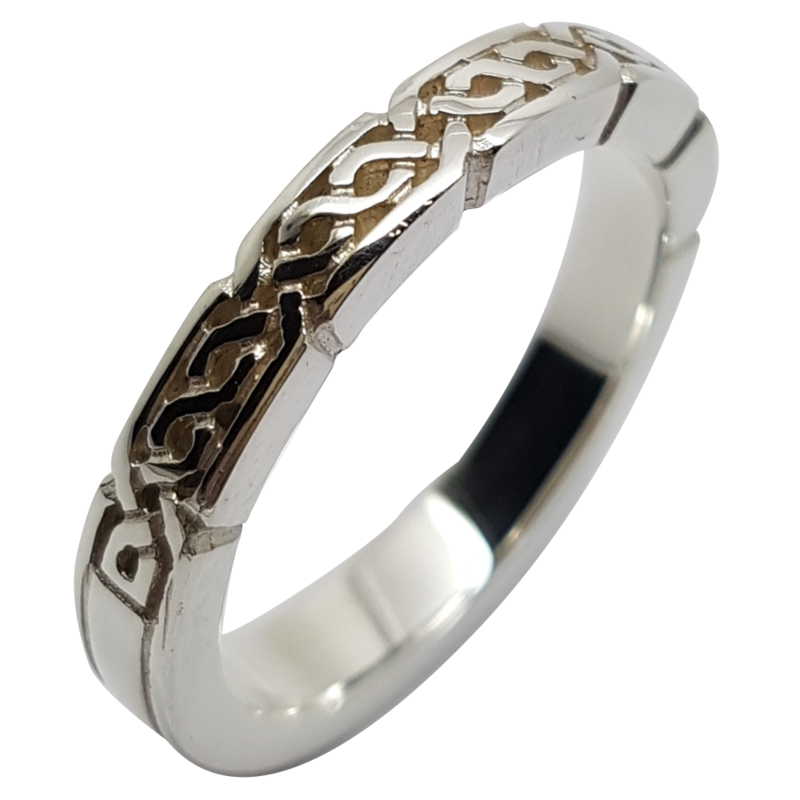 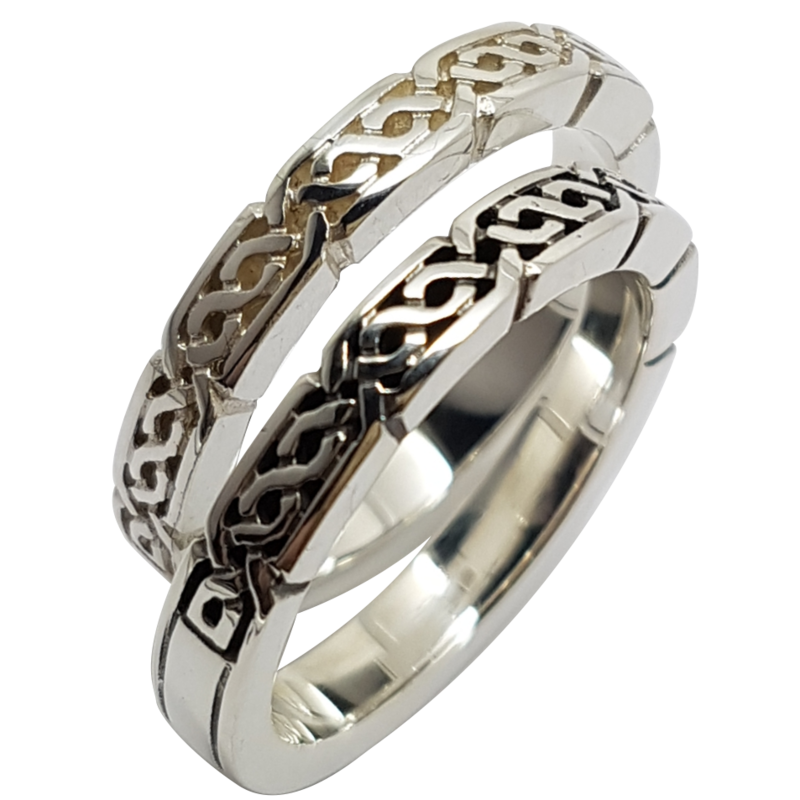 All our Celtic knot-work rings have a plain section, which allows your ring to re-sized in the future and adds strength and structure to the design. 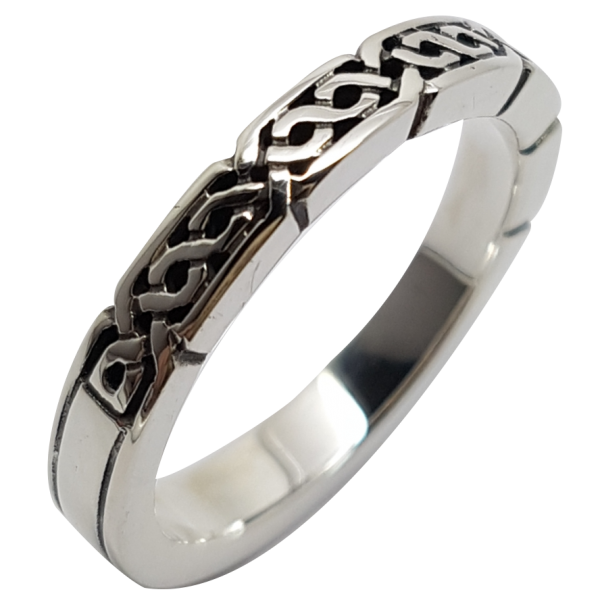 The silver version of this ring can be made oxidised to darken recessed details, or can be left unfinished as shown.